> Resource > How to Play Blu-ray on Mac? How to Play Blu-ray on Mac? 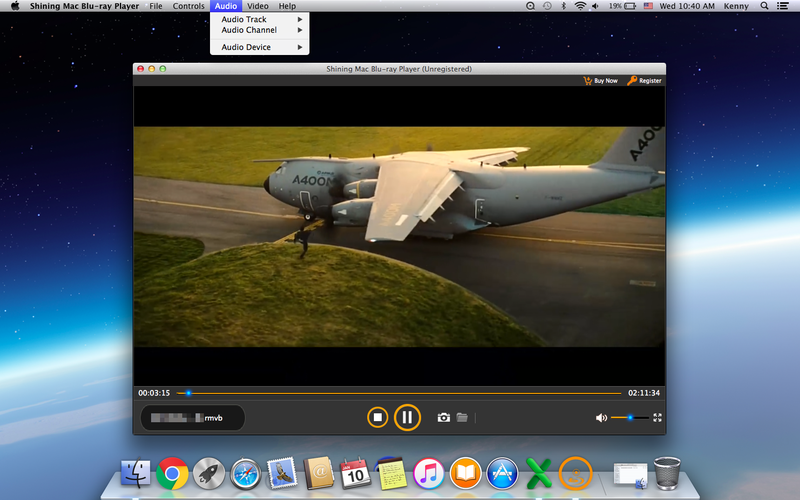 How to play Blu-ray videos, movies, discs on Mac? Actually, there is no built-in feature or system application on your Mac can help you play Blu-ray resource on Mac. Not only do Mac OS not ship with Blu-ray playback software built in, but it still doesn't make a drive capable of reading Blu-ray discs. Fortunately, there are some third-party programs can help you easily and smoothly play Blu-ray under Mac OS. In this article, we will show you an easy way to play Blu-ray on your Mac. Just read on. ShiningSoft Mac Blu-ray player is a well-designed Blu-ray player for Mac. It offers lossless and secure display technology to allow you to easily and quickly play Blu-ray on Mac without any loss. It supports to load Blu-ray Menu, Blu-ray Disc, Blu-ray ISO File, Blu-ray Folder, DVD ISO File and DVD Folder, etc. It can play most of media files including videos, audio files, images, voice memos, etc. It means you can watch any kind of Blu-ray video, picture, audio on your Mac with this powerful Mac Blu-ray player. After installing ShiningSoft Mac Blu-ray player, just launch it from Launchpad. 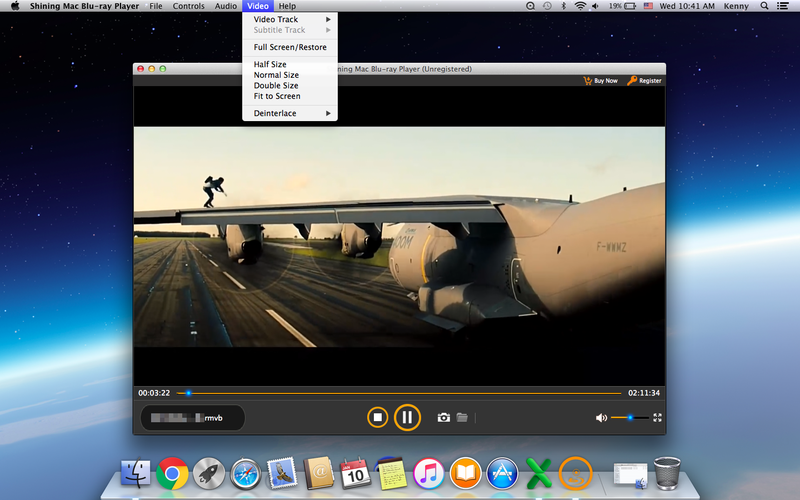 Then you can easily play Blu-ray on Mac. Here are the easy steps. Step 1: Run ShiningSoft Mac Blu-ray player on Mac. Just run Mac Blu-ray player on your Mac. Then you will see the main screen. You will see two buttons: Open File, Open Disc. You can just add a Blu-ray file to play by clicking on the "Open File" button. Or you can just open a disc to load videos from the Blu-ray disk drive. Step 2: Play Blu-ray on your Mac. Now you can play Blu-ray on your Mac. You can make some adjustments there according to your own preferences. You can easily control the voice, playback process, the playing files, the screen size, etc. 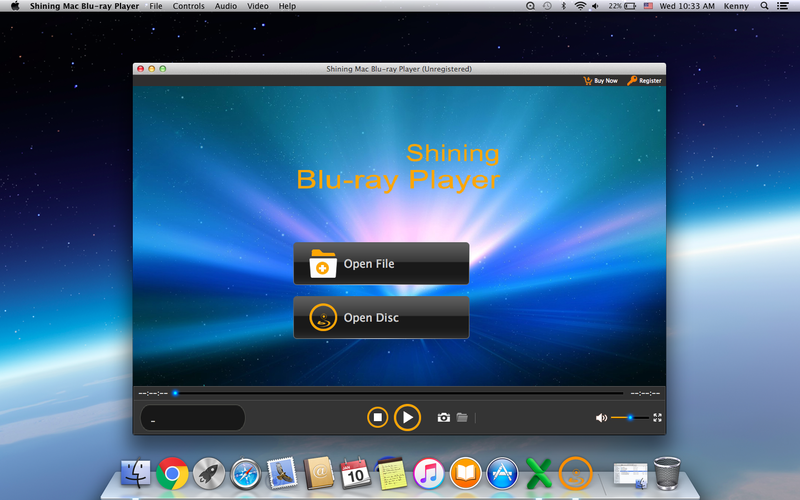 As you've seen, it is very simple and quick to play Blu-ray on Mac with ShiningSoft Mac Blu-ray player. 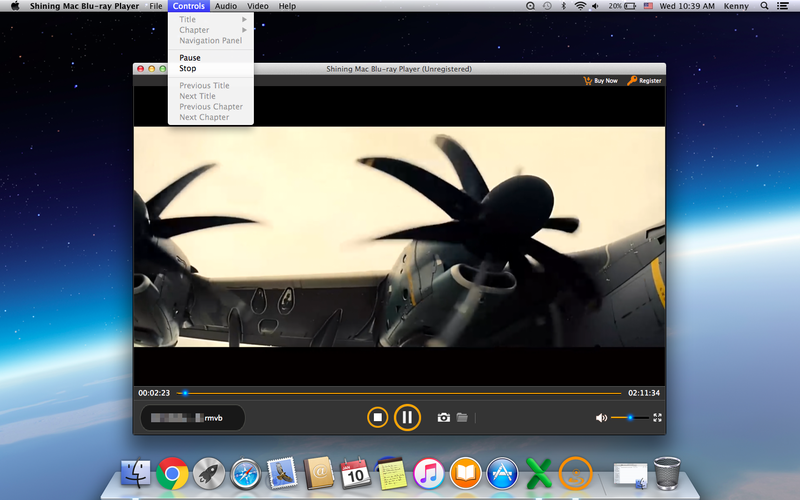 You can watch Blu-ray movies, play videos, images, and audio files on Mac with this wonderful software. It supports to play various file formats including MOV, MKV, AVI, FLV, WMV, MP4, MPEG, RMVB, MTS, M2TS, MOD, VOB, M4V, TS, MXF, FLAC, WAV, WMA, AAC, ALAC, AC3, AIFF, AMR, AU, MP3 and more. We strongly recommend you to download and install this Mac Blu-ray player on your Mac. Don't waste your time on unreliable Mac Blu-ray player. ShiningSoft Mac Blu-ray player offers almost all the stuff you want when you are going to play Blu-ray on a Mac. Try it now! Irma - Detailed guide shows you how to play Blu-ray, DVD, HD videos, audio files with the best Mac Blu-ray Player software on Mac.